Damn, it’s always the cars I like that are being voted uncool. 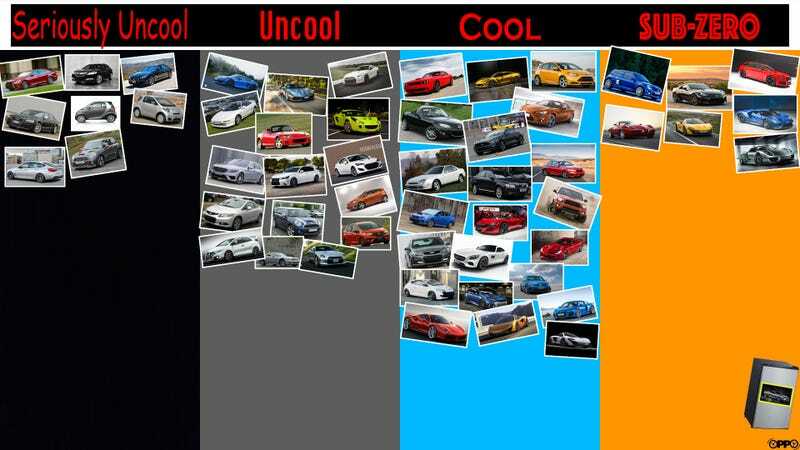 Every car but the GT-R was voted cool. The GT-R was uncool. WHAT IS THIS SORCERY?? Based on how you guys reacted to my midsize sedan raking, I can already guess how this will turn out.